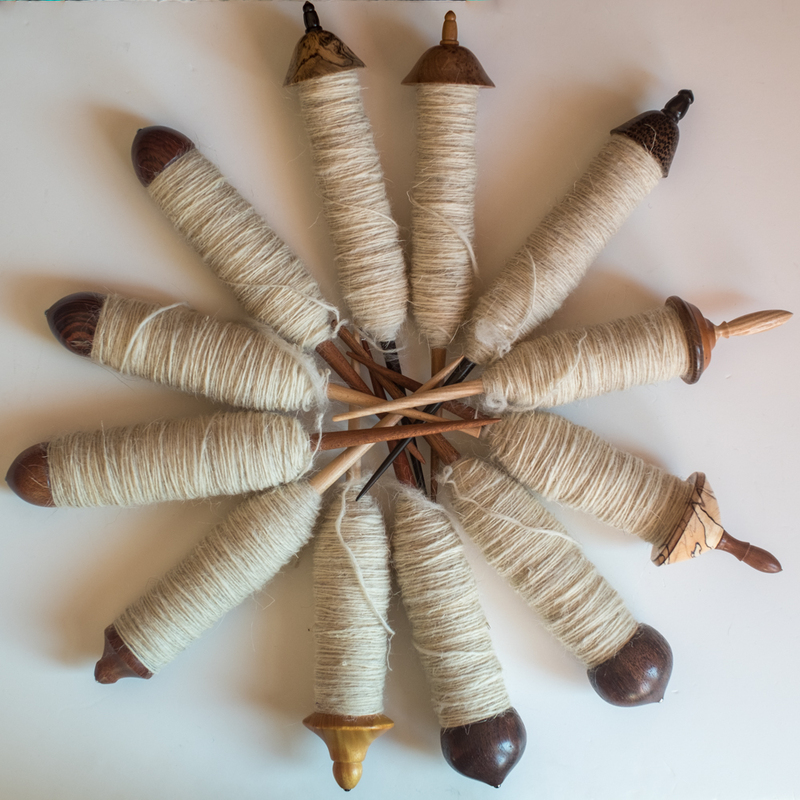 I decided to do one final spinning project for the Hobbits stage of the MirkwoodArts Thriathlon. Just like in the previous two projects, I wanted to spin thick and rustic yarn. This time, I opted for a bag of Swaledale fibre that I bought on holiday in Cumbria two years ago. That was my favourite holiday till date. 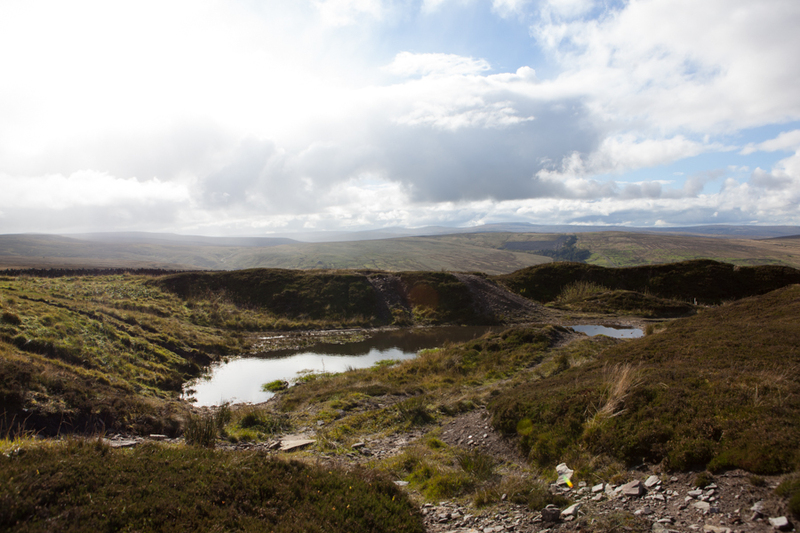 We stayed in a converted barn in the middle of the Northern Pennines, an Area of Outstanding Natural Beauty (AONB). It was quiet, serene, chilly, desolate, with the most beautiful sunsets ever. 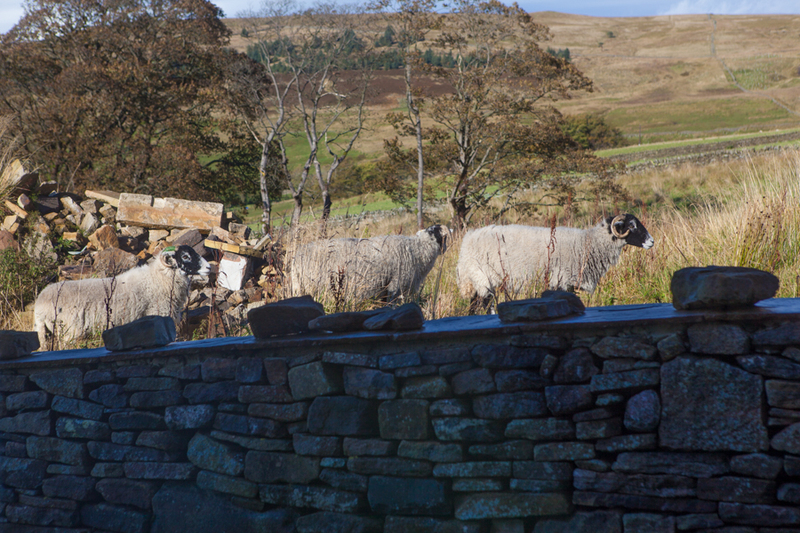 There are no plane routes over this region, and herds of tough sheep walk around freely in the hills, including the Bluefaced Leicester and the Swaledale. 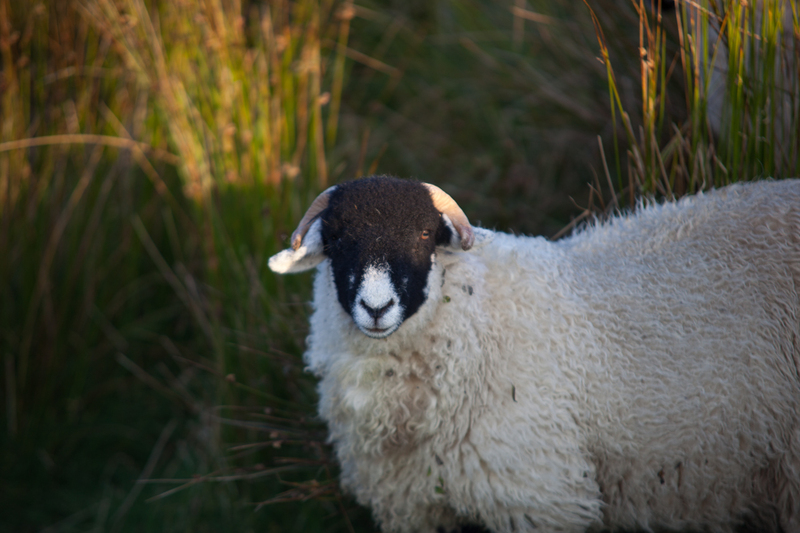 I saw many Swaledales, as they lived across the street from the barn too. One time a small group of them took a stroll right next to our house! 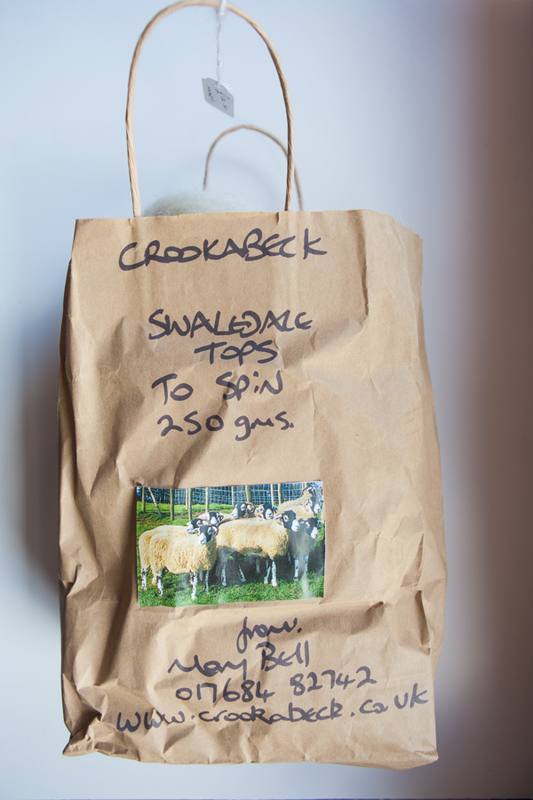 When we visited The Wool Clip, an awesome crafting cooperative in Caldbeck, I had to buy Swaledale fibre. 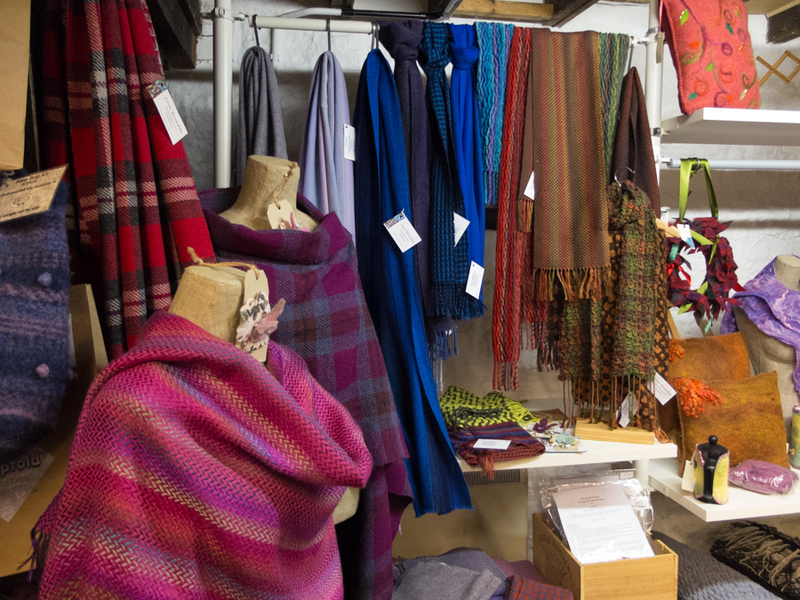 Of course, there were many other temptations, for example, Jan Beadle’s handwoven shawls, and Hole House bags… and yarn and fibre. 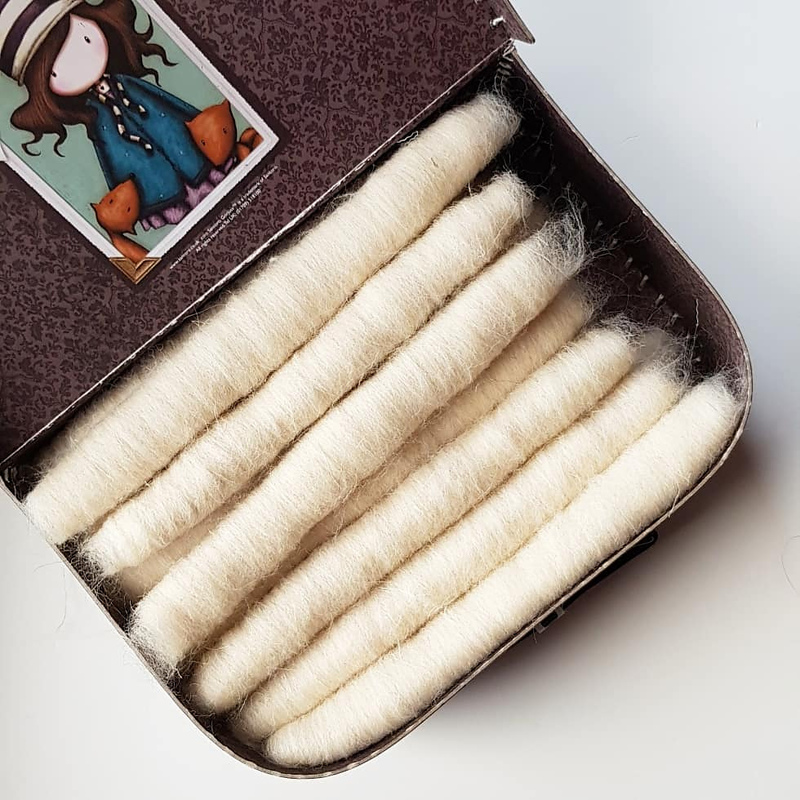 I bought some very nice supplies there (and in other local shops), and this Swaledale fibre was the only fibre that I did not spin yet. As usual, I created rolags first. While making them, I noticed that there were thinner, softer hairs in the roving, as well as thicker, coarser hairs. I didn’t really like the thicker hairs, but there were so many of them that I decided to leave them in. Can you see the coarse hairs sticking out? In the end I ended up with 24 rolags of about 10 grams each. 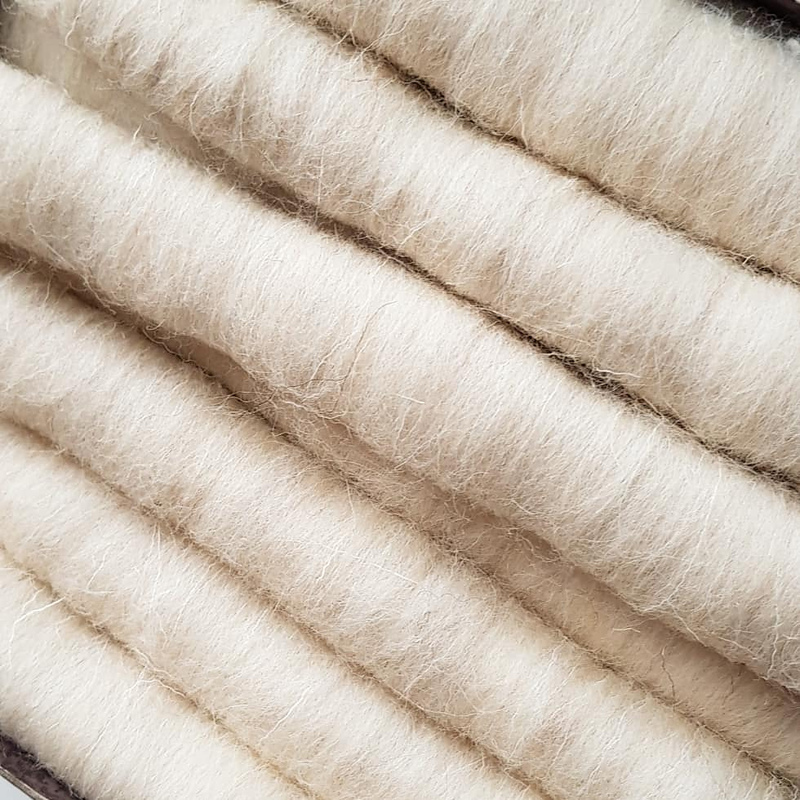 The thinner part of the fibre was more BFL-like, but the thicker hairs were like angelina: too coarse and prickly for my taste. I started spinning on my MirkwoodArts spindles, and spun deliberately thick. Even a bit thicker than in my previous project. I hoped to be able to encapsulate the thicker fibres inside the yarn. Part of the coarse fibre just fell out while spinning, so my couch was littered in white hairs. I also pulled out some of the hairs from time to time, but there were just too many to really do it all the time. I was not really enjoying this spin, unfortunately, but I decided to just continue and finish it anyway. The big advantage of spinning thick is that it goes much faster than spinning thin. Spinning all the singles only took me four days or so. Then I took out my spinning wheel and chain plied them. 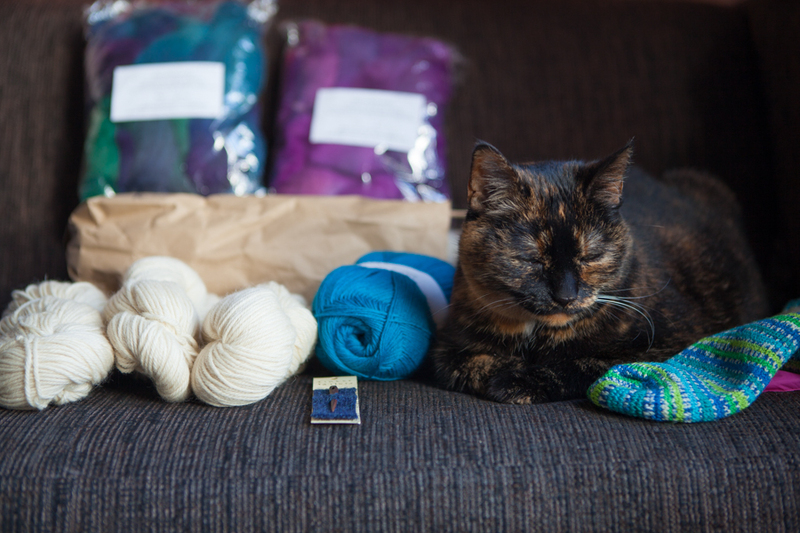 The resulting yarn is 238 grams and 386 metres of worsted weight yarn. After washing, it still wasn’t very soft, so I will not make anything with it that touches the skin. It is quite strong, though, and it may make a nice (knitted, then felted?) bag, cushion cover, or the like. 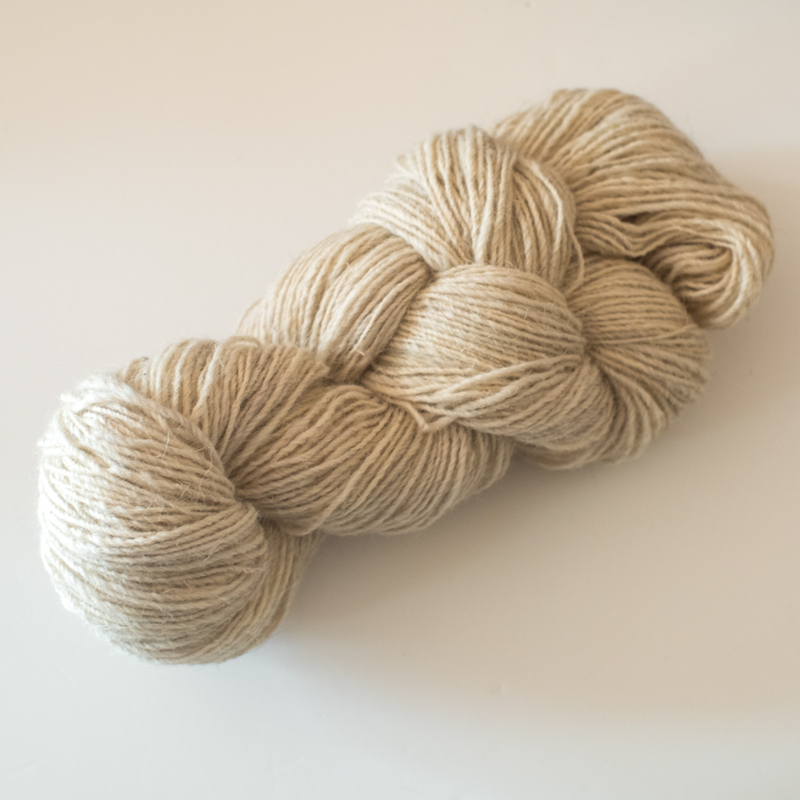 I may dye it or leave it undyed, I don’t know yet, it will depend on the project. This is my final spin for the Hobbits stage of the Thriathlon, even though it runs until the end of the month. The third stage, Dwarves, starts next Monday, and I will participate a bit. However, I will not be spinning as much, because we will go on holiday during this stage. And we will be going to the same place as two years ago, to enjoy the calm, stillness, beauty and solitude of this beautiful area! Of course, I’m planning to visit The Wool Clip again, and some other awesome things in the area like the High Force waterfall, Alnwick Castle, Durham, the lakes in the Lake District, and more. And I will bring some nice books, some knitting, and, of course, my camera. But I will leave my spindles at home.